This week we’ve been discussing the traits and tendencies of the risk leaders we encounter at NRMC. We see positives across a wide spectrum of approaches and philosophies and get especially excited when leaders tell us they are forging new paths to strengthen risk management in their organizations. Since so much about risk can be worrying, we’ve created a fun quiz to remind readers that a sense of humor + self-awareness are essential qualities in an effective risk champion. 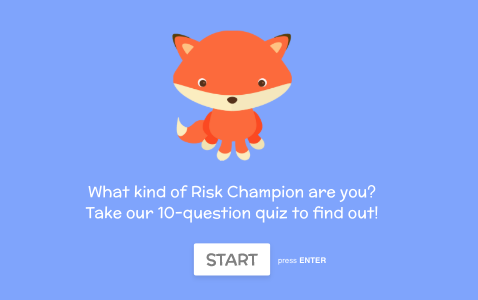 Without further ado… we invite you to take our short quiz: What Kind of Risk Champion Are You?